Hydro-Gear attended the 2017 GIE+EXPO, held in Louisville, KY, from Oct. 18-20. Several representatives from the company were on hand to speak with attendees in both the company's indoor booth and outdoor demonstration space. The show kicked off on Wednesday, Oct. 18 with the annual dealer preview day, when outdoor power equipment dealers had the opportunity to walk the show floor before it opened to the public on the 19th. This year, Hydro-Gear held a press conference to announce the new Smartec ZT Drive System. Alyn Brown, Smartec Market Segment Manager, spoke to a crowd of interested dealers, OEMs, and press representatives and shared how this first-ever production mower drive system will enhance vehicle performance, and maximize comfort, efficiency and capability. On Thursday the show officially opened to record crowds once again. More than 24,000 people from around the world hit the expo floor and attendees had a lot of walking to do. With an exhibit space that was 50,000 square feet larger than 2016 and 226 new exhibitors, GIE+EXPO and HNA didn’t disappoint. Inside the Hydro-Gear booth the excitement centered on Smartec and our simulator, which was designed to give attendees a virtual feel for how a mower will respond with and without the Smartec ZT Drive system. 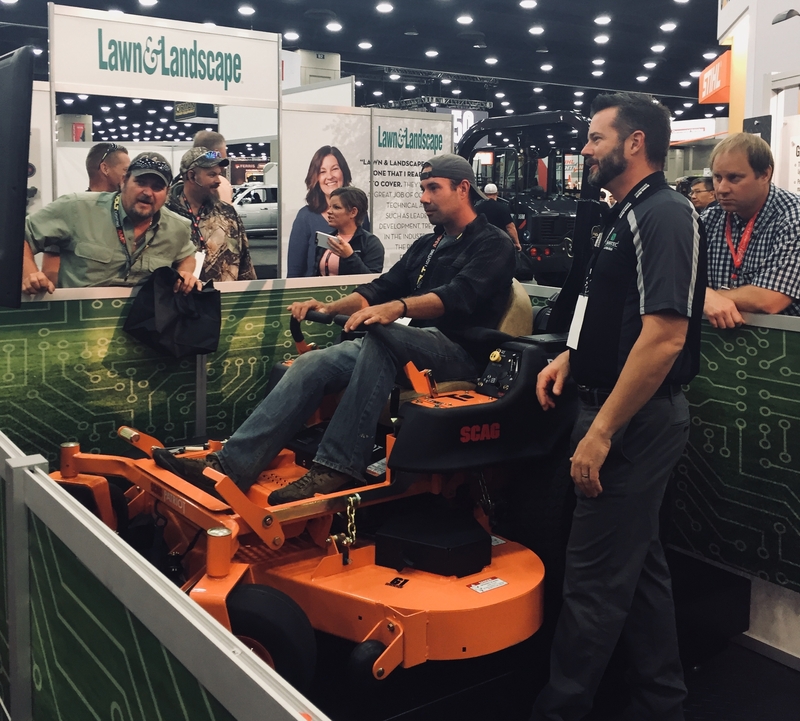 After taking the simulator for a spin, attendees were able to give a real mower a test drive in our outdoor booth. Here folks got a chance to sit on 2 differently configured Scag ZT mowers and test the dynamic stability assist. There was certainly a lot of buzz around the Smartec ZT Drive System from both OEMs and Dealers. Adam Percival from Beebe Landscape Services out of Windsor, CT took the Scag mowers for a spin and was definitely impressed stating, “Smartec is definitely driving the industry forward…it was a great experience to test drive that mower.” Watch the video to hear more from Adam about our Smartec ZT Drive System. Hydro-Gear had a very successful show and we’re looking forward to 2018 where there are some changes being implemented. GIE+EXPO was recently named the 10th largest show in North America by Trade Show Executive Magazine and as a result of the continued growth OPEI will be implementing a new format, allowing contractors an extra day on the show floor.